Financial software producer Intuit known for products such as QuickBooks, Mint and TurboTax is a leading player in AI and machine learning. Analytics India Magazine got in touch with Arun Singhal, Product Manager at Intuit’s Data and Analytics division to get a picture of the analytics-based ecosystem at the firm, and find out how the organization is making use of analytics and big data. 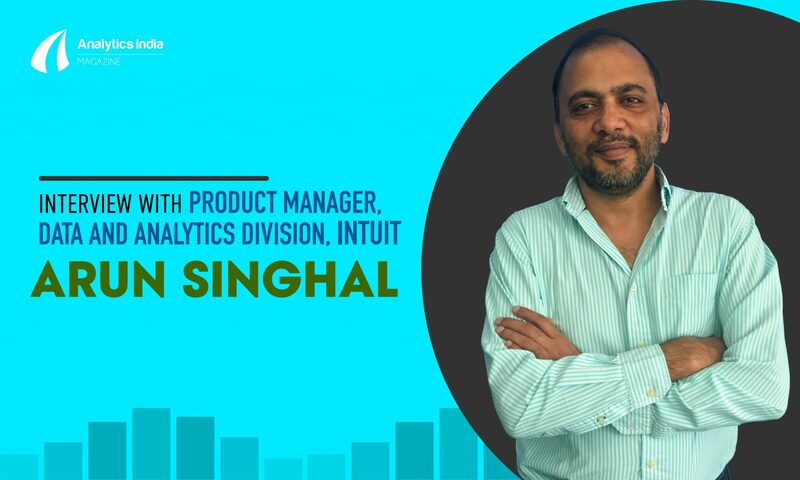 Singhal is a Group Product Manager with Intuit administering the Product Management for Big Data Platform and Products and has 20 years of experience building large scale systems and big data systems. He is passionate about technology in general and solving business problems using technology. 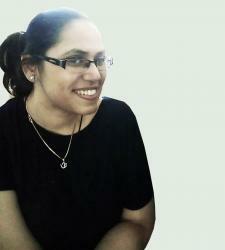 Prior to Inuit, Singhal had stints at Yahoo, Portal, Commerce One, and few startups. Singhal talks how the company is at the forefront of AI and gives a detailed overview of the data platform portfolio. Analytics India Magazine: Describe Intuit’s journey so far in a space concerning analytics and data. Arun Singhal: A few years back, we realized that to move forward as a company we needed to bring all of our data together into a centralized place so that we can fully maximize our analytics. Thus, the Intuit Analytics Cloud was born. The next natural step was to use that data for improving our products and customer experience by using personalization and customer insights. After which, we used this data for machine learning and AI to help our customers. AIM: What are the key technological trends in the analytics space today? How do you integrate those technologies into your solution portfolio? AS: Most companies are looking at real-time analytics and real-time decision-making. Machine learning and artificial intelligence are the key innovative areas in this space today. Earlier, few companies were using ML and Data Science, but now with the availability of cheap computing power it has become mainstream. Intuit has realized the power of real-time time analytics and decision-making, ML, and AI to power our products. We are significantly investing in these areas as we build out the capabilities. We always experiment and innovate with new technologies to see how we can use them to solve our business problems. Here, the power of open platform comes into play. If we build our platforms right, then we solve not only current problems, but future problems as well. AIM: Describe the state of analytics in India. What is Intuit’s strategy towards increasing the adoption in the country? AS: Data and Analytics have been a good field for Indian technology firms. On one side, we have the large multinationals who know that India has great talent to develop these capabilities. On the other side, we have home grown startups in e-commerce, which have to very data-driven, hence they try to build capabilities in this regard. The next natural step is build unique and innovative technologies which have a broader impact on the ecosystem. Intuit contributes in two different ways, to start with we are a huge consumer of open source, and we try to contribute back to the open source community. Secondly, we encourage the ecosystem – we host multiple meetups, sponsor events so that we learn from the outside-in, and we contribute back to the tech community. AIM: Intuit builds core data products: A/B testing, user segmentation, big data crunching, building blocks such as funnel analysis, path analysis, etc. Can you walk us through your solution portfolio in the light of this statement? AS: If we break down our data platform portfolio, on one side we have data ingestion, which focuses on bringing all of our data to a central “Intuit Analytics Cloud.” The data can be in multiple forms – usage data, application data sitting in Relational Databases, or key value stores, event data, and customer reviews on app stores, etc. Next, we have a set of products to work on this data, cleansing, matching, aggregation, etc. to make it more usable. Some of the users and applications will consume from here, while for analytics we use Massively Parallel Processing DB solutions (Fun fact – Intuit has the second largest installation of Vertica). Any of these will feed into our Decision Engines, Machine Learning models, and dashboards and reports. On top of our data platforms, we provide services like A/B Testing, user segmentation, decisioning systems, etc. AIM: Personalization and recommendation are some of the key features of your products. Can you explain how exactly are your solutions helping the clients? AS: This is a key capability for us to delight our customers. One example is “first time use.” When a customer signs up for QuickBooks Online, we want to give a different user experience to the user until he is accustomed to the product. The experience is also tailored based on the type of business our customer is running. In “MINT” our personal finance product, we provide users to explore “Ways to Save,” based on our prediction and user specific attributes. In the tax-filing ecosystem – based on the filer type, we can give them a customized flow for their tax filing process. For a small business, one of the biggest challenges is cash flow. We can help by furnishing insights to customers, based on the invoice history for their future cash flows. AIM: Present us with a case study where your clients found value or addresses a specific business challenge by leveraging your solution. AS: Intuit has a suite of products and services that our customers use. When our customers called for support, our care agents needed access to customer data to serve the customer requests. We built a multi-mode pipeline to move and transform data from source databases, besides creating a suite of services to retrieve data in real time. Now all the data is available to the agents, and they can provide much better service to our customers. AIM: What are some of the impediments in the analytics arena? How is Intuit addressing those challenges? AS: One of the common problems has been the quality of data. It’s critical that data is clean and consistent. We are solving that in multiple ways- standardizing data models and ingestion into standard pipelines, so that data is clean for downstream processing. Another problem is changing needs and use cases for the data, and the way to solve that is by building versatile platforms- which can adapt to changing needs. Third part is traditional analytics focused on human consumption comprising more decision engines and machine learning, which requires different set of data and analytics. AIM: Give us a picture of the innovation that takes place at Intuit. AS: Intuit looks at innovation from two different directions. One is top down where our leadership team identifies opportunities and disruptions 5-10 years down the road, and what we need to innovate to thrive in that environment. Second way is bottoms-up, where our engineers are look at customer problems and come up with innovative solutions. These take the form of Innovation Days, Hackathons, and Code Jams where everyone has opportunity to take a step back from day-to-day work and come up with new ideas and build quick prototypes. After due diligence, some of these make their way into our products. AIM: Describe the highly efficient ‘Intuit Data Fabric’ team at Intuit. Also, talk about the work culture at the organization. AS: A few years ago, the Intuit Data Fabric team was founded to support Intuit on its transformation into a cutting-edge technology company with data as a strategic pillar. Intuit is the steward of data from 42 million customers, and we’re rapidly growing in the US and globally. The IDF team’s goal is to harness the power of this data at scale by creating a data platform and real-time data services to transform our products, and ultimately our customers’ financial lives. End-to-end scalable software architectures and machine learning play a vital role in achieving deeply personalized user experiences, changing the way we collect and process data, and how we then determine what useful, actionable nuggets of information we can deliver quickly to the user. IDF has always been a creative team within Intuit. One of the way teams express their creativity is in the internal code names of our products. We typically get a competition between “Game of Thrones” and “Star Wars”. So we have products named “DragonStone”, “Davos”, “R3D3”, and “Trinity”. AIM: Can you tell us what lies ahead for Intuit? Any advice for upcoming startups who want to make it big in the analytics industry? AS: We are going to focus on few areas, real-time – making data available faster to make decisions, and making it self-serve so we can move faster as business changes. We provide meaningful insights to our customers so they can make decisions that impact their business and finances. We are going to use Machine Learning and AI to make these things happen. For startups, look at Analytics and Data to see how you can solve for big problems, or how data can feed decision-making either by humans or by machines. We have to move from simple dashboard or reporting to Data Science, Machine Learning, and Deep Learning in order to stay ahead of the curve.